Thulium is an alternative rock band based out of London, England. The band’s roster is an international one, lead vocalist Boubou hails from France while the rest of the members are from England, Canada and Hungary. Pretty cool. To give you an idea about the band, they cite Audioslave, Evanescence, Foo Fighters, Metallica, Red Hot Chili Peppers and Nickelback as inspiration. I don’t think they necessarily sound like those bands but hey, they have some pretty good influences (well, besides Nickelback, sorry). What they actually sound like to me are bands like Breaking Benjamin or Crossfade, that wave of alternative rock & metal that popped up 5 or 6 years ago. This EP is actually a pretty good release and I enjoy all three songs despite the fact that alternative music generally isn’t much of an interest to me. I could see any of these songs getting some radio play on modern rock stations. “Running” starts the EP off right, it’s a good rocker. “Craving” slows the tempo slightly and features a catchy chorus and “90 Days of Sorrow” is a nice melancholy ballad. All told, 69 shows that Thulium holds a lot of promise and this EP can be downloaded at a rock bottom price from a variety of online merchants. 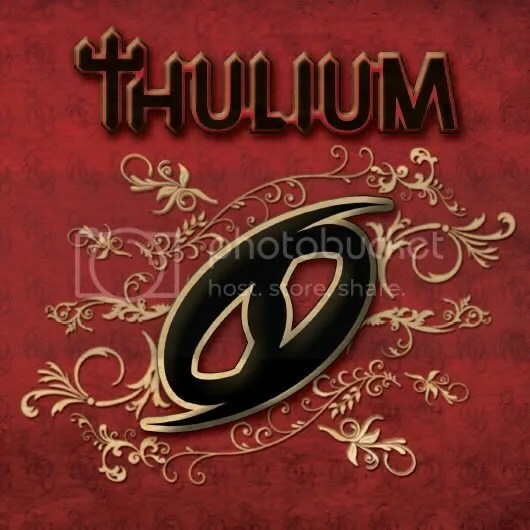 Alternative rock enthusiasts shouldn’t miss out on Thulium!